Joyetech BF RBA Head for eGO AIO/Cuboid Mini/CUBIS, features the rebuildable coil system. It is convenient to rebuild and replace coils. Catering to variety of needs, it brings higher performance in a more economical way. 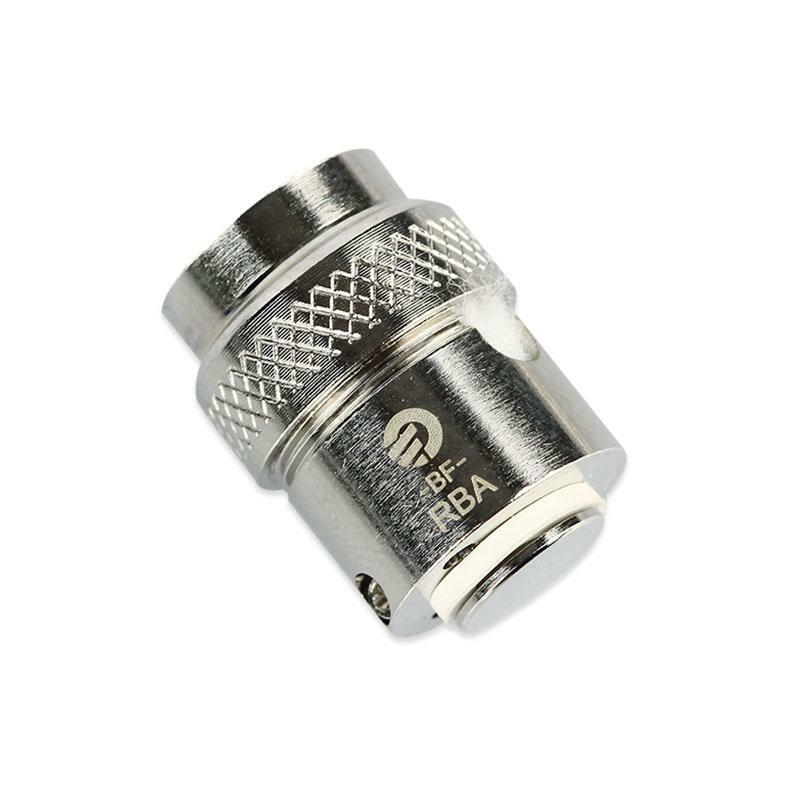 Joyetech BF RBA Head for CUBIS/ eGO AIO/ Cuboid Mini, features the rebuildable coil system. It is convenient for customers to rebuild and replace coils. Catering to variety of needs, it brings higher performance in a more economical way. • It can work with Joyetech Cubis Tank, Cuboid Mini Atomizer and Joyetech eGo AIO. Please DIY 0.6ohm coil when use BF RBA head with eGo AIO D19. • Attention: BF RBA Head can't work with eGo AIO D16 or eGO AIO D22. Todo ok, le viene perfecto.